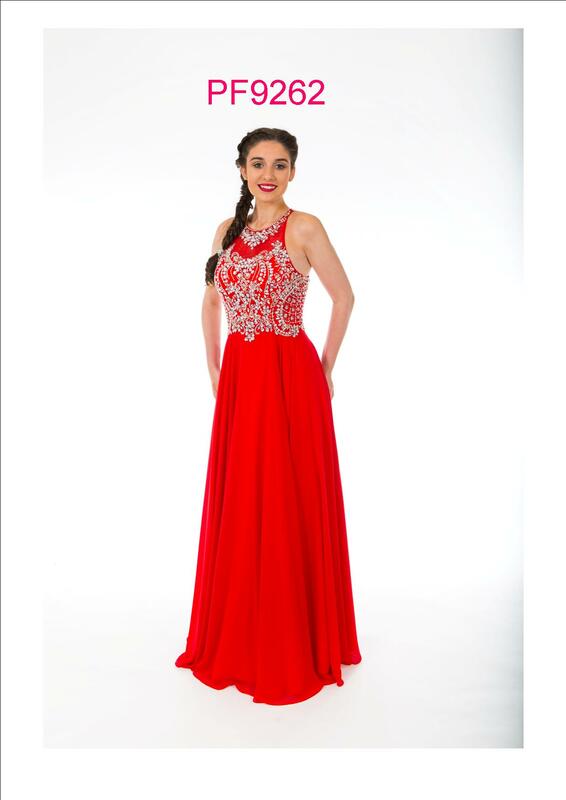 This full length prom dress is a great light weight style that still has plenty of detail. The bodice is hand beaded with silver diamante beads and sequins in an intricate pattern that carry on up to the racer back neck. The key hole back gives a great feature to the already lovely style.